A rude awakening was always a real possibility for Everton when the Premier league returned this weekend, with Manchester City and Liverpool visiting Goodison Park in the space of 7 days. Everton fell at the first hurdle against City, but it wasn’t just the sublime football of the opposition that contributed to the final result. 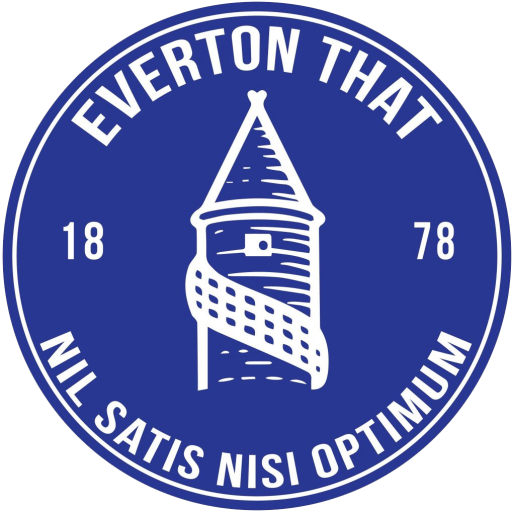 The words of the song goes “nobody said it was easy, no one ever said it would be this hard”, and there is barely a line more applicable to Everton’s Saturday evening match up against the Premier league champions to be. Sam Allardyce and the Everton players would have been all too aware of the capabilities of Pep Guadiola’s City side, after all they had a fortnight to review videos and prepare their own game plan. It’s on that point that I will highlight first. Just were was Everton’s game plan? The first ten minutes of the game was as if Everton hadn’t seen the way their opponents had won their 27 league games this season, it reminded me of a Premier league team turning up at a league 2 side for a cup fixture. The Everton sides we have seen beat the Manchester City’s, The Manchester United’s and the Arsenal’s at Goodison park in recent years have been recognised for high pressure, tenacity, good movement off the ball, desire and the ability to defend when necessary. Trying to remember a moment through Saturday’s game, whereby one of those traits were displayed by Everton is tough to recall and the opposite pretty much happened on every account. Reverting back to the formation, 4-2-3-1, that this group of players have failed to make a success now under 3 different managers, was the catalyst for what was to follow. The lack of energy and pace in the midfield was going to cripple the chance of the Toffees, not allowing the team to break down City’s fast flowing football that is based on making the ball do the work. Wayne Rooney has provided some mixed performances in the defensive midfield role so far this season, even with Idrissa Gana Gueye next to him, but his performance against Manchester City was predictable and could have been avoided by Sam Allardyce. Playing two holding midfielders against the single best midfield on the face of the footballing world at the moment was always going to cause problems. Morgan Schniederlin has been disinterested in playing at any kind of level since he was shown a red card in Everton’s defeat away to Lyon in the Europa league, add that to the fact he hasn’t started a game in nearing two months and you start to see a real problem. A problem that city exploited massively, along with the uncoordinated showing from Wayne Rooney in exactly the same position. If Sam Allardyce had any tactical nous about himself whatsoever, he’d have realised our best chance of causing City problems was to make their passes miss their targets through a speedy press on the ball. Only two player could have possibly provided that for Allardyce and he left both on the bench in Davies and Baningime. It’s hard to ignore the the sheer ability and class of Manchester City. As highlighted above Everton made it extra easy for the travelling side to perform to their full potential, but the level to which Guadiola’s side are currently at is a distant dream for almost every other team in the league. I’ve witnessed Evertonians criticising other Blues who stayed behind after the game to applaud Guadiola and his players, i’m still struggling to understand the reason for the criticism. Where they not the best side we’ve seen at Goodison park in the last 10 years? I can’t remember a group of players being anywhere near that quality going back as long as I can remember. We’ve clapped players of the opposing side before, who have had not connection to Everton, so why would we not applaud what was a performance we all secretly admired through squinting eyes? I hate teams that do lots of talking off the pitch, but I’ve not heard a peep from this city side or their manager. They have methodically gone about their business and outplayed almost every opposition that has been put in front of them and are deserving of the title they are surely to claim against their rivals next weekend. To win the league with the gulf in points they currently hold is the ultimate sign of a deserving Championship winning side. Everton can and do need to learn lessons from Manchester City, not only on the pitch but off it. They sprung to life with a large injection of cash through the sheik consortium, they didn’t hang around, they didn’t hold onto their previous directors or officials out of respect or compassion. They bought the club outright and set about finding the formula to get their investment back from the team, and within the space of the 3 seasons they achieved it. Winning the title back in 2011/12 wasn’t just down to the monetary value invested, it was the culmination of a process done properly. It was a process that found it’s feet after an initial stumble under the management of Mark Hughes and provided the money necessary to find a manager that has a proven record. My one and only criticism of Farhad Moshiri is that his investments have been advised by the wrong people, both on a playing staff level and a coaching staff level as well. He has invested heavily in the squad and has brought in some big signings, Rooney, Walcott, Sigurdsson and Klaassen are certainly the ones that would have turned heads from other fans in the league. But, Moshiri’s investments in managers hasn’t lived up to the same ilk as that of the players mentioned above. Moving forward from Saturday, Everton need to provide a respectable performance against close rivals Liverpool next Saturday. A performance similar to the one just past isn’t acceptable in a derby and will create even more pressure on the new manager, whoever it maybe, when he does take over in the summer. It vital Everton finish this painful, draining season with some credibility, something that will excite the next manager and allow the loyal support we have to continue to come back.